The i.MX7 features one or two ARM Cortex-A7, plus a single ARM Cortex-M4. Have a read at this Toradex knowledge base article which describes the overall architecture. 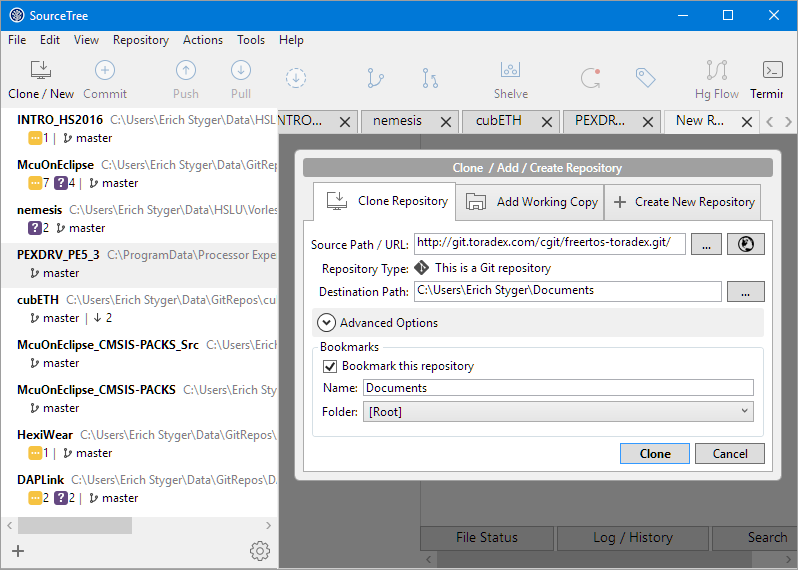 Clone it with your git client. 💡 Important: do not clone it into a path with spaces, as the make files are *not* space aware! 💡 As the Git tag indicates, this is an older FreeRTOS V8.0.0 release. I see later how to use the latest V9.0.0 version. 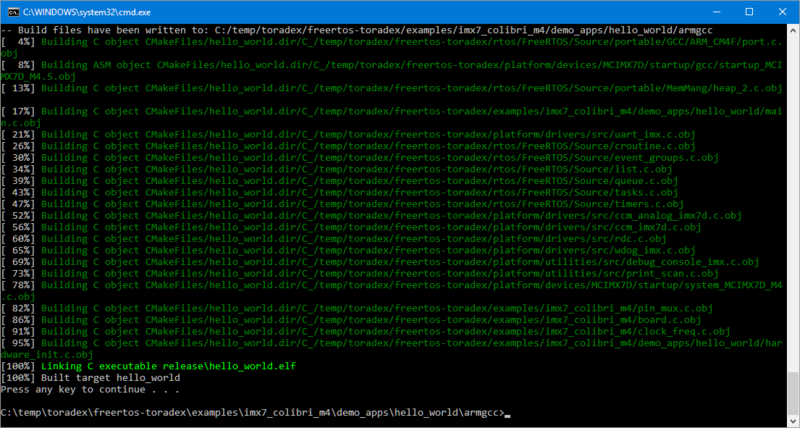 Inside the repository (freertos-toradex\examples\imx7_colibri_m4\demo_apps), there are several example projects, with subfolders for each IDE supported. To use the armgcc one, it requires cmake installed. For Windows cmake is available from https://cmake.org/download/. Additionally for Windows the mingw32 package from https://sourceforge.net/projects/mingw-w64/ is needed. Running the build will build the example project. CMAKE_C_COMPILER and allow CMake to identify the compiler. CMAKE_CXX_COMPILER and allow CMake to identify the compiler. // Initialize demo application pins setting and clock setting. // Create a demo task which will print Hello world and echo user's input. // Should never reach this point. I connect a terminal program to both UARTs with 115200 baud. Hit a key in the terminal at that time, and it will abort the normal boot process. Success! I have a FreeRTOS application running on the M4 core of the i.MX7 :-). 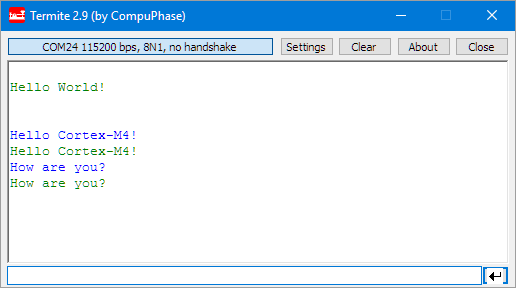 I’m ending my current week-end project with first steps on the NXP i.MX7 and running a FreeRTOS application on the M4 core. The combination of a Linux running on one or two A7 plus having a Cortex-M4 for realtime aspects has huge potential to me. I have the module with Linux running, and I have a simple hello world application on the M4 working. 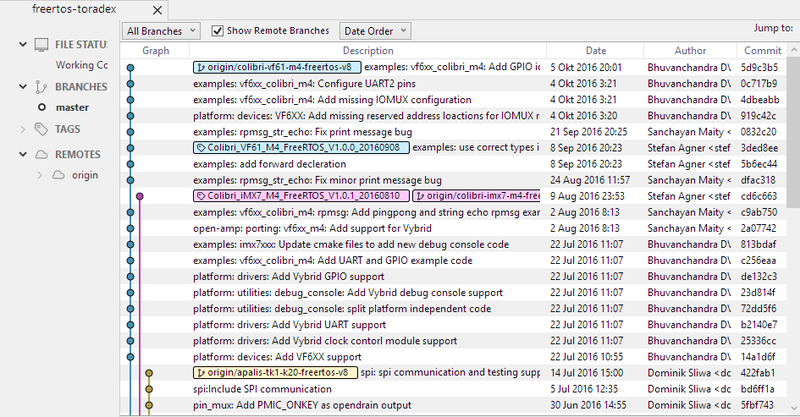 Note: In V2.6 Alpha 1, there is an issue rendering the Linux clock driver useless when the Cortex-M4 is started. Due to a second bug, this only manifests on Colibri iMX7D. Use the latest 3.14.52 kernel available in the -next branch to avoid those issues. So in a future article I’m exploring how to update the Linux on the module. And as an ultimate goal I want to use JTAG debugging for the Cortex-M4 too. This entry was posted in ARM, Boards, Building, Colibri, CPU's, Embedded, gcc, NXP, Tips & Tricks, Tutorial and tagged arm gcc, Building, Cortex-M, FreeRTOS, gnu gcc, i.Mx, i.MX7, NXP, open source projects, software, software project, technology, Tips&Tricks, Toradex by Erich Styger. Bookmark the permalink. Interesting… for the M4F part, is it possible to write & debug code using KDS? Writing: yes, I’m working on that, maybe I should publish an article about this? Debug: I’m not there yet, but that’s what I want do for sure. available on Farnell Element14. What do you think about Warp7 ? I saw the news about Warp7, but unfortunately it is not available for me to order in Farnell or Element14. It seems to me it is only available in some regions. The Warp7 is interesting for sure, but it is a i.MX7Solo (I have a Dual A7 on that Toradex Module). I checked the Element14 UK site, and to me the price point of the Warp7 is higher than a Colibri+Carrier board. But the board size of the Warp7 would be smaller. So I have to wait until the Warp7 is available to me to try it out. My bad, I did not count in shipping costs. Did not realize that the Warp7 shipping would be free. Great article. Just had the chance myself to play with this at the NXP FTF Connects Toronto about 2 weeks ago. I was very much interested in the interaction between the i.MX7 and the M4 core. We had a hands-on session with the NXP SABRE board. Briefly played with the MU (Messaging Unit) and semaphore unit to coordinate comms between the A7 and M4 core complexes. Very valuable addition for inter-process communications. We too used UBOOT to lauch (automatically or manually) a custom image. Unfortunately not enough time to go into details. This left me wondering: how can this be done via the eclipse IDE and how do you debug an application running on the M4? I had a nice chat with Toradex during the lunch break. This coupled with your articles has me checking their website right now. thanks :-). I think you attended the same training I attended at FTF in Austin/TX this year. I’m trying to replicate the same kind of thing with the Toradex Colibri board, and I’m right now in the process or building the project with Kinetis Design Studio. This works so far. What is missing is to be able to debug it over JTAG. I would like to use either a P&E Multilink or Segger J-Link for this, but on the Iris and Viola board the JTAG connector is not available on the board, I have to check out the full evaluation board. I have the SABRE board too which I need to look at: this one has the connector available. I will begin to work with iMX7 Toradex. I am curious is there support of IDE for Baremetal project on M4? Until now I was working with Kinetis M4 (CodeWarrior, KDS, PEx). There are cases when is suitable to transfer project to iMX7 (original project iMX6 + Kinetis M4). Linux on A7 will handle ethernet, USB and SD Card so there is no need for using RTOS on M4. Is it possible to set up new project for M4 on iMX7 in these variants: RTOS, RTOS + Baremetal (motor driver) or baremetal project only? Is there processor expert support for A7 (BSP) and M4 on iMX7? It would be nice if there would be an article about IDE + JTAG, what projects could be set up, ups/downs. Such options review I am missing. In every forum is discussed only selected option but choosing the right one is hard. Is there any IDE and project example for embedded linux for A7 or how is usually done linux development for A7? Is necessarily to modify kernel in oder to run ethernet, USB, AUDIO or these peripherals are enabled in preinstalled linux image? I’m using Eclipse with GNU ARM Eclipse and the launchpad (actuall Kinetis Design Studio V3.2.0) to build baremetal and RTOS projects for the M4. I’ll plan to publish an article about this probably next weekend (if time permits). Using FreeRTOS (or any other RTOS) on the M4 is optional, but gives a very nice environment. 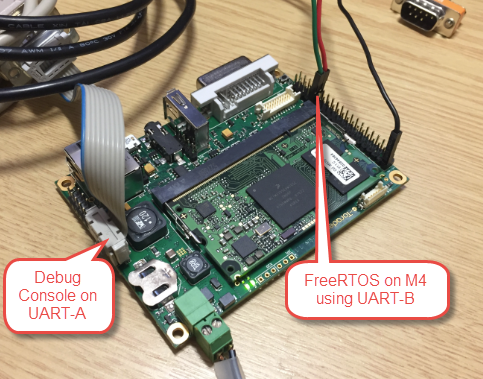 I have motor applications running with FreeRTOS nicely, because FreeRTOS is is able to work nicely with the interrupts, see my other articles around the ARM Cortex interrupts (https://mcuoneclipse.com/2016/08/14/arm-cortex-m-interrupts-and-freertos-part-1/). 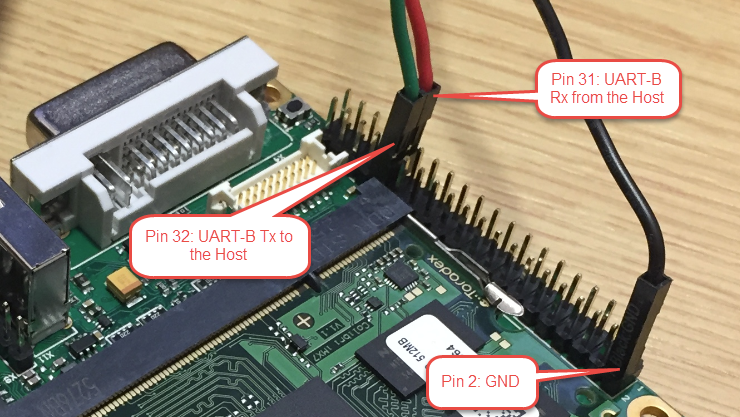 There is no Processor Expert for the Cortex A (well, there is the Pin Muxing for it, see https://mcuoneclipse.com/2016/06/08/tutorial-muxing-with-the-new-nxp-pins-tool/), but not for the drivers. About IDE and JTAG debugging: I’m not there yet (facing some issues), but that’s definitely my goal, and I will write about it as soon as I have it working. As for the Linux part: the usual way is to use a pre-built image and flash it to the board (I plan to write an article about this too on the week-end), and then you have pretty much everything in it. But of course you are free to build your own linux image if you want. Thank you for your positive response. I am looking forward to new tutorials. Can you make a post or tutorial (somewhen in future) about bootloader in kinetis boards? I’m getting interested in this area but I can’t even start, it’s so complicated. Thank you, I read this post but I’ve completely forget about it. Thank you for these articles which are very helpful! I’m newbie for Linux-Arm and probably missed something. 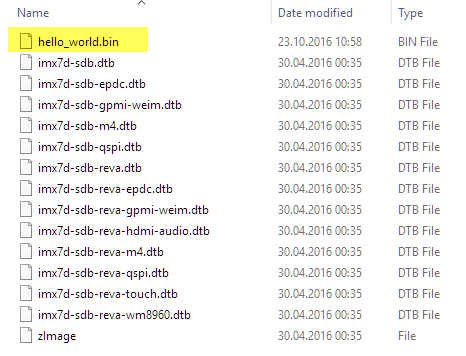 I guess there must be something wrong with the bin file, so I downloaded pre-compiled ones from Toradex. All the same! But when I fatload and bootaux .elf file, it works! Have you contacted Toradex about this already? Not yet, it’s weekend and I’ll ask the dealers for it the day after tomorrow(Monday) and update here. I post it here because I thought there could be a obviously answer for a beginner’s question. Another question (not relevant and probably meaningless) : Does the U-boot print address both in upper case and lower case for purpose? like 0x007f8000 vs 0x1FFF8311 in my last question. I think it is not on purpose if the addresses are printed in lower or upper case characters. It actually works! I made a stupid mistake that I unconsciously used USB-RS232 instead of USB-UART and received garbage through M4-UART. And luckily nothing is fried. I checked data read out by J-link after bin file is downloaded into M4’s TCM. So the U-boot feedback is slightly different to the document from Toradex but still normal and make sense to me. great news, and thanks for closing the loop!